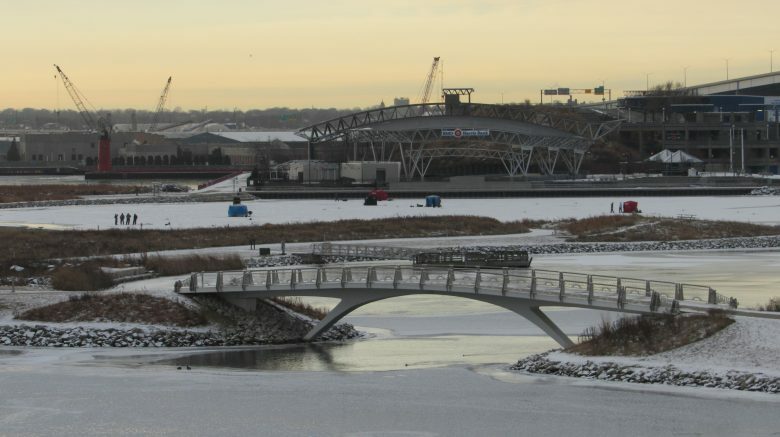 The weather has gotten colder, and that means ice in the lagoon! Lakeshore State Park has had a busy ice fishing season, with multiple ice shanties up each day, and fishermen setting up tip-ups hoping to catch panfish and Brown Trout. Some have even still been successful in catching lingering Salmon near the harbor. Stay safe on the ice! The lagoon can be highly variable due to its connection with Lake Michigan. This means that before venturing out, make sure you are doing so safely. • Notify family/friends when and where you will be fishing, or better yet, bring a friend along! • Have a plan in case you fall through the ice. 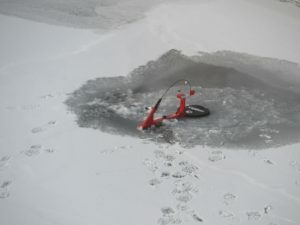 The DNR has ice fishing tips and other safety recommendations at http://dnr.wi.gov/topic/fishing/icefishing/index.html. Free Fishing Weekend is coming up January 20th-21st and we will be celebrating at the park by handing out recipes, fish rulers, fish wildcards, and brochures. No license is required for free fishing weekends, but regulation catch lengths do apply. Fishermen, we’d love to see your catch! Share your photos with us on our facebook page, or email them to Angela.Vickio@wisconsin.gov. If you’re strolling through the park, keep a look out for the red foxes, they have become more active during the day as the temperatures remain cool. 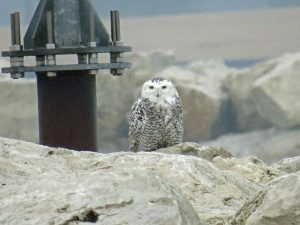 We also have a variety of waterfowl and other migratory birds passing through. 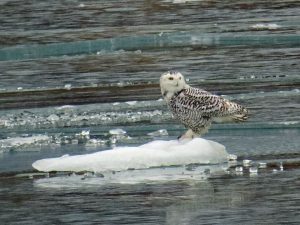 The Snowy Owl in the photos below was attempting to catch himself a Scaup, according to park visitor Greg Osborne, who was able to observe and photograph the owl earlier this month.